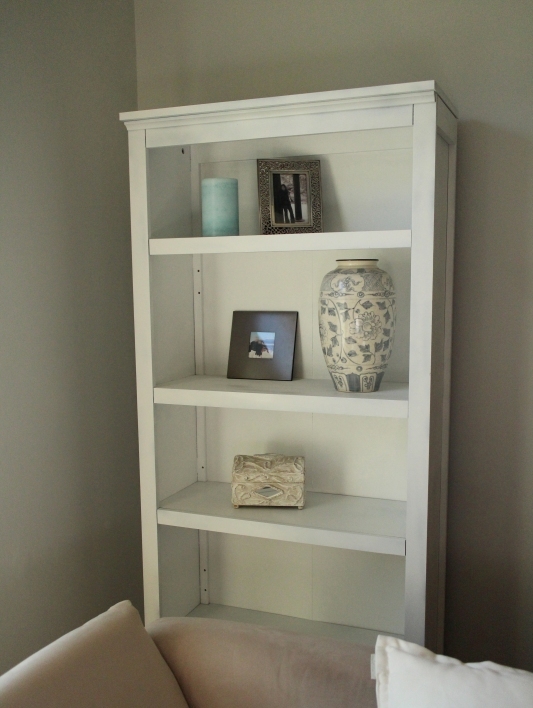 I needed a bookshelf for a corner of my living room but the black one we had didn't match the blues, grays, and whites of our living room. So we painted it white! But just look at it. It looks so empty, so bland sitting by the beige couch and the gray wall. It needed more color but I didn't know what else to add so I turned to Pinterest and found my inspiration! Books! Blue books! It was a bookshelf after all! I especially loved the vintage French books. Here is my bookshelf now. It looks much better, don't you think? I am still on the lookout for blue books to fill it up some more and I might actually read one or two! The books are very cool on your shelf. Great job painting it too! Hello Khammany, What a nice comment you gave on my blog about the lavender and my cabinet, thank you so much for your compliments. 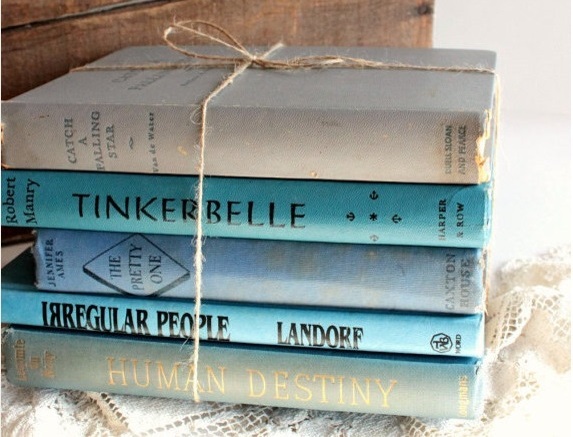 I like your blog too and how nice (and cheap) you handled it with the blue books. 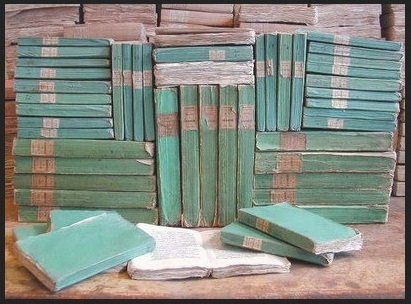 Khammany, I love blue and green books! Yours are lovely. I have the best luck finding them at thrift stores and yard sales! Thanks for visiting my blog and your lovely comment! I am looking forward to following your projects! Have a lovely day! Yes, your bookshelf looks fabulous, but in a quiet way, the way bookshelves should 'look', after all, they are meant for books, and quiet time! 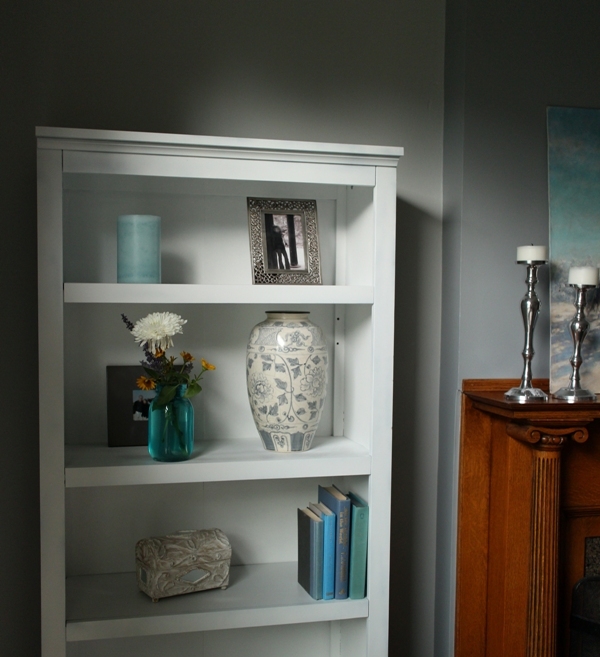 A nice balance of accessories and your star pieces, make this a very charming vignette! Great finds dear! I too buy a lot of books for 'display'. Particularly fond of the old hard-bound Reader's digest. The hunt is part of the fun, so good luck with more blue books for you cute shelf! Very nice! I recently thought of painting book covers or covering with linen, but the hunt is always fun, too! Have a great Sunday.